Snow arrived in Ukraine on Saturday but it didn't stay too long, I'm afraid. 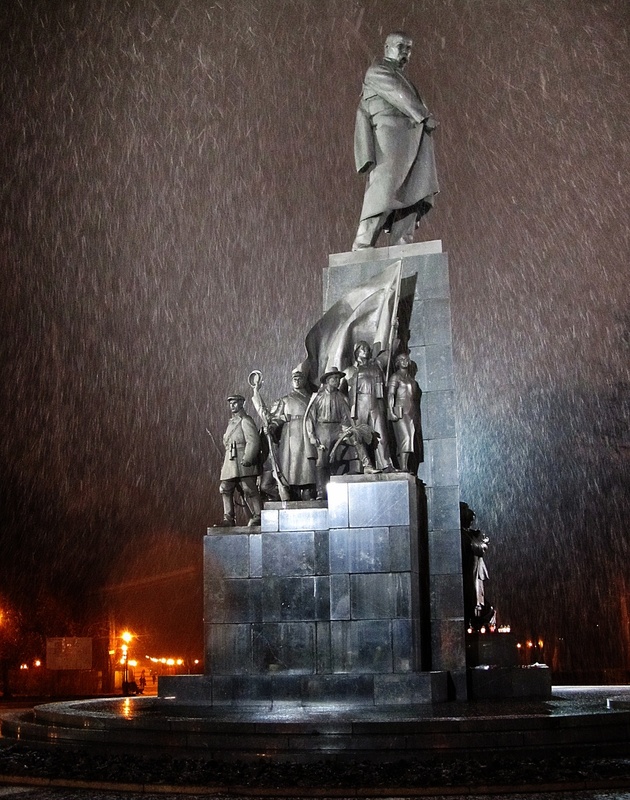 The snow looked particularly lovely brightened by the statue to the poet Shevchenko. 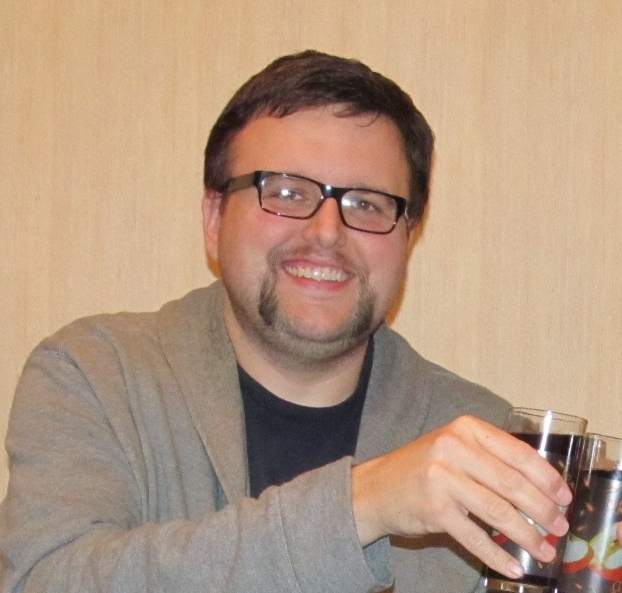 I wrote a little post about him back in September. One Shevchenko statue deserves another, doesn't it? This one is located in Poltava. And here's another statue...this time from Kiev. 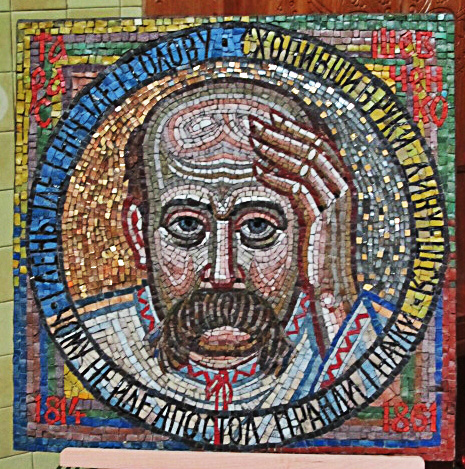 At a museum in Poltava they also had this amazing mosaic of Shevchenko. Since being here in Ukraine I've embraced the need for a nice mustache and I'm trying to do my best Shevchenko impersonation...although it will probably take years to get it as bushy as his.